Madurai is a beautiful town steeped in history and is quite popular for some of the most magnificent temples that are built here. 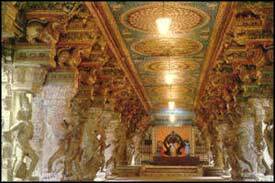 Madurai is located in the south India state of Tamil Nadu and experiences a substantial tourist footfall each year. Not only the tourists from the other states of India, but also the foreign tourists drop in to this town enchanted by its rich and glorious past. The architectural marvels of this town are unparalleled and have an enchanting effect on its visitors. Since it is an important stopover on the itinerary of a pilgrim tourist, it is accessible by air, rail and road transport quite easily. There has been immense improvement in the travel network and that makes reaching Madurai a very convenient affair. For the foreign tourists dropping in to Madurai, Chennai is the nearest airport from where Madurai is easily accessible by road as well as air transport. Madurai also has an airport that connects Chennai and Mumbai and other nearby destinations of south India through the efficient services of the flights operated Indian Airlines, Vayudoot and East West Airlines. Chennai is the major railway station that connects the important cities of India through the vast rail network. You can get the services of super fast and express trains that make access to Madurai very easy. You can get the regular services of the trains that link the important south Indian towns of Coimbatore, Chennai, Rameswaram and Kanyakumari. Getting to Madurai by road network is also convenient due to the presence of well maintained road networks of the state and national highways. The various places from where you can reach Madurai are Chennai, Trichy, Rameshwaram, Kanyakumari, Tirunelveli, Kodaikanal, Periyar Wildlife Sanctuary, Palani, Thanjavur, Bangalore and Mumbai.